If there were ever any doubts that the leaders of the Euroskeptic coalition now running Italy had a plan to defy the European Union, its proposed budget should quell them. 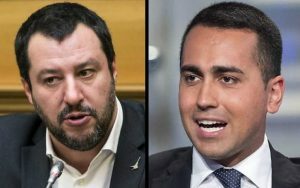 Both Deputy Prime Ministers, Luigi Di Maio of Five Star Movement and Matteo Salvini of The League, were adamant about locking horns with European Union leadership over all issues of sovereignty between now and May’s European Parliamentary elections. Their budget proposal, which included both tax cuts and universal income, blew past the EU budget limit of 2.0% of GDP, coming in at 2.4%. It has put their Finance Minister, Giovanni Tria, in a difficult position because Tria doesn’t want to negotiate this budget with Brussels, preferring a less confrontational, read: more pro-EU, approach. 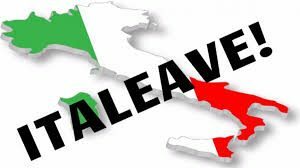 What I meant then, and I was focused on Salvini’s emergence as the leader of this fight, was that Salvini and Italy, because they are more than technically insolvent, have all the leverage in the negotiations. The size of their outstanding debt and the liabilities extant on the balance sheets of banks across Europe, most notably the nearly $1 trillion in TARGET 2 liabilities, are something Juncker, Draghi, Merkel and Christine LaGarde at the IMF simply cannot ignore. But to do this, Salvini and now Di Maio have to make a good faith effort to negotiate a good deal for Italy with Brussels, Berlin and the IMF. This is why the budget squeaked past the 2.0% limit, and then they walked it back to 2.0% but with provisions they knew would anger the EU finance ministers. So, the first prong of their assault on the power structure of the EU is this: challenge them on their budget while making strong statements to the rest of Europe that they are not looking to exit the euro. If they do, it will be Germany forcing that situation. But, the big swing is on the table in Germany. 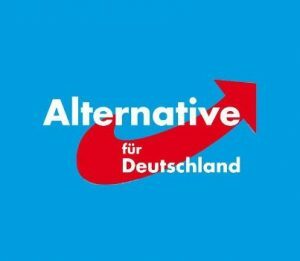 Alternative for Germany (AfD) is now pushing up towards 20% nationally, and the next hurdle for its growth is this weekend’s Bavarian state elections. If AfD out polls the Greens and denies the CSU a path to a coalition government without them, then that could have spillover effects for Angela Merkel. That would truly upset CSU leaders, and the cries to break the Union with Merkel’s CDU would grow louder. And with Merkel dealing with internal CDU disloyalty, the possibility rises quickly that her national coalition could collapse amid external pressure from Salvini and Di Maio over budget and debt issues. The markets are beginning to wake up to the fact that this political battle is not going to go as smoothly for Germany and the Troika as it did for Greece. Salvini and Di Maio (pictured) are not Varoufakis and Tsipras, and Italy is simply way more important than Greece. Populist forces within the EU are angry and their power is growing. The technocrats in Brussels still seem to think that the old rules apply, but they do not. Scare tactics will not work on these men because they know that the ultimate move is to simply make preparations for a new currency, be it the mini-BOT that has been floated previously by Salvini or a new lira. This is the ECB’s biggest weapon. It will try to scare everyone by allowing Italy’s fiscal position to erode quickly making it impossible for them to issue debt at sustainable yields. But it does so at the expense of the value of the bonds it and other European banks already hold because they are dropping in value, undercutting the solvency of those banks. If the Italian leadership holds the line and refuse to back down, then they call the ECB’s bluff on allowing rates to rise. The ECB has to come back in, begin buying to support the price, and to regroup for the next battle. Instead they have doubled down on their opposition to Brussels and Berlin, and added new vectors to their attacks. Germany’s Days in the EU Sun – Will Trump End or Extend Them?